new outdoor skills and participate in environmental education. The MacKenzie Center offers programs to school groups of all ages, scouts, 4H clubs and other groups on a variety of environmental topics. Programs include a variety of classes that engage students in exploring the outdoors. They can come face-to-face with native wildlife, build outdoor skills, explore pond, prairie, and forest habitats, or gaze at the stars while on a night hike. The MacKenzie Center offers programs to school and youth groups on a variety of environmental topics. The MacKenzie Center is a great place for groups to participate in activities that lead them to a deeper appreciation of the outdoors. Our educators work with teachers and group leaders to design one-day or multi-day programs to meet the educational needs of students. Our classes focus on field experiences and can include classroom instruction. 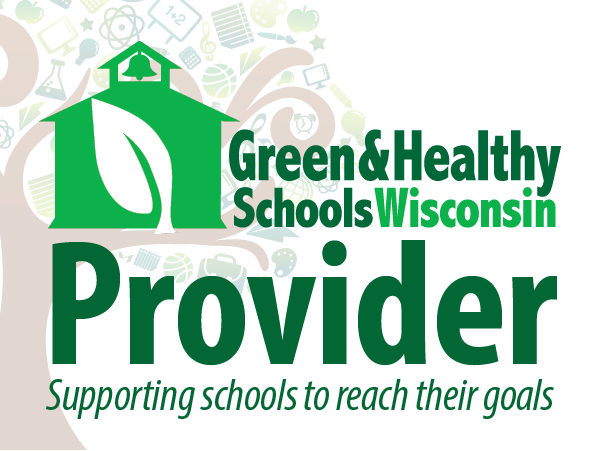 Programs use outdoor classrooms to help teachers meet Wisconsin teaching standards. For overnight trips, MacKenzie offers a lodge building with a commercial kitchen that can accommodate 120 people and two dormitories that can sleep 80. Groups planning to visit the MacKenzie Center need to pre-register as fees may apply. Please contact the MacKenzie Center office to learn more about our classes and fees, to check the availability of our facilities and to make reservations. If you are planning to spend the night at MacKenzie, please call to schedule an on-site planning session. The following information are available for group leaders. Day Group - Class offerings [PDF]: If your group wishes to plan a day trip to the MacKenzie Center, here is a list of programs that a MacKenzie educator can lead or classes that your group leader can facilitate. Lodge Group - Class offerings [PDF]: If your group wishes to plan an overnight or day field trip in the MacKenzie Center Lodge, here is a list of programs that a MacKenzie educator can lead or classes that your group leader can facilitate. Program Fees [PDF]: The current pricing structure for your group trip to MacKenzie. Group roster [PDF]: Provides a list for all the trip participants in your group. This tour is designed for students in the veterinary field or high school students that are interested in pursuing veterinary science. This tour addresses the nutritional, behavioral and medical needs of the numerous animals in our wildlife exhibit. Specific issues as they relate to each species and how to provide quality care are discussed. Please call the office to coordinate a tour. Would you like to bring your group to the MacKenzie Center but transportation and other costs are prohibiting you? There are two options to help cover costs for school groups. The Friends of the MacKenzie Center offer scholarships to visiting school groups. To apply, download and submit the Friends Scholarship Form [PDF]. The MacKenzie Center is part of the Nature Net Environmental Learning Network. Visit MacKenzie twice in a school year or visit us and another Nature Net location and you are eligible for reimbursement of bus and transportation costs. For more information, see the Nature Net website [exit DNR].